Perhaps I made a crucial mistake when I was a freshman in high school and appeared as an extra in the movie Harper Valley PTA. It could be that I doomed myself to a lifetime of drama. I rode my bike in the cold to our high school football game tonight. My boys don't play football and aren't in the band, but the team is doing really well this year. The whole town turns out for the games. Spencer paints his body each week and Tucker died his hair pink for the breast cancer recognition tonight. During the band's halftime show, a mother holding a camera walked up to me, leaned over and said, "Before you go saying things about my daughter, you'd better take a look at your own kids." Then she was gone, down the steps of the bleachers. I knew the mom because Tucker had dated her daughter in 8th grade, two years ago. "I just had a hit and run," I said to my friend Jane who sat next to me with a cast on her foot. "What should I do?" Jane said she didn't know because she'd never had a mother accuse her of something. Jane is very polite and would never gossip about kids or adults. I am not always polite, but I knew I hadn't been talking about Courtney. I decided to go confront the mom rather than simply avoiding her. "Carrie, I don't know what you've heard, but I haven't even thought about Courtney in two years," I said. She told me she had heard this rumor directly from a parent, and she asked if I swore I hadn't said anything about her daughter. "I didn't," I said. "And next time ask me." "I thought we had put this all behind us long ago," she said. Then I went in search of Tucker. "What's this rumor I'm supposed to be spreading?" I asked him, relaying the football game ambush by the other mother. Tucker, of course, had heard the rumor, just didn't bother to share it with me. A dad, who I knew of, but who I felt sure did not know who I was, was saying I'd made claims about Tucker and Courtney. Now I needed to take the next step: find the dad and confront him. Lucky for him, I didn't see him at the game, so I'll need to go to the soccer game on Saturday to look for him and put an end to the rumors. It's just like the song and the movie: "Cause this is just a little Peyton Place and you're all Harper Valley hypocrites." The joys of living in a small town. Do you gossip? Would you have confronted the mother? Would you search out the dad? Some people would rather avoid. How about you? Grace's travels in France, and the accompanying angst is making me re-remember some of my own journeys. 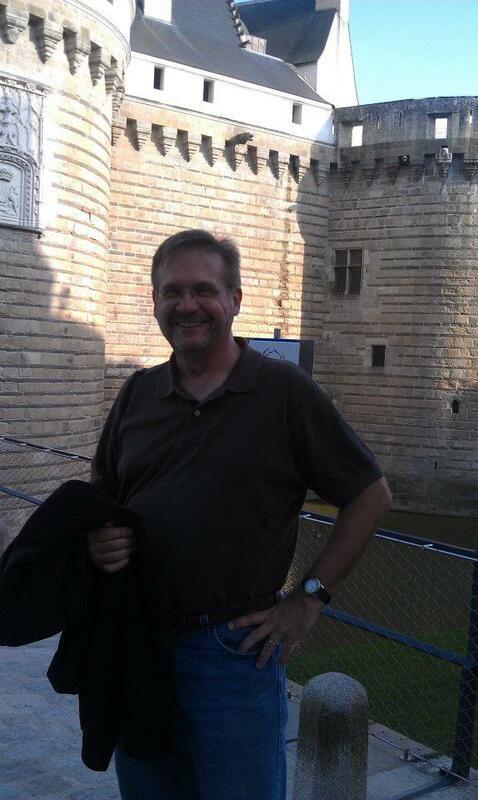 When I think back to those three months in France, I look at the entire experience and how it changed my life. I don't remember the daily struggles. So Grace is feeling frustrated about not understanding a language that she has studied and she is feeling shy about speaking French. I get that. The first two weeks I was with the French families, I hardly spoke at all. And they talked about me, right in front of me for a few weeks until I started to understand what they were saying. I promise Grace every time that we talk that it will get easier. When I went to France, it was a last minute thing. I was 22 years old, working as a reporter at a daily newspaper in Middletown, Ohio, and dating a photographer. The photographer had a sister who was married to a Frenchman, Jose. (That J is pronounced zh instead of the Spanish way.) They had two little girls, Brigid and Claire, whie the wife was pregnant with her third child. The tickets to fly to France had already been purchased when the wife started to have complications. Someone needed to go with the girls to France and stay at their grandparents' house with them. That's where I came in. I had only a few days to prepare so I didn't have time to panic. I filled a very, very big suitcase and went. The father, who is a doctor, came along at the beginning for a medical conference. We flew into Paris and stayed at the grandparents' apartment in Viroflay, outside Paris in the direction of Versailles. The grandparents weren't there at the time, so when Jose left that morning for his medical conference, the girls and I were alone in France. Maybe there's something about being responsible for other people that made me step up to the plate and take action. When the phone rang in the apartment that morning, I didn't answer it though. No way was I attempting to speak French on the phone. Brigid, 4, answered and it was her uncle Vincent, who spoke very good English. After Jose had gone to the conference, I was responsible for getting the girls ready and meeting him at Luxembourg Gardens for lunch. I dressed the girls in matching yellow overalls because, as a 22-year-old, I thought that was so cute. But their long sleeve shirts quickly became too warm on our outing so they ended up wearing the overalls without shirts underneath which looked a little white trash. I have no idea how we made it onto the RER and got the train into Paris then switched to the Metro to meet Jose at Luxembourg Gardens. Somehow we did. The trips I took alone with the girls all run together, so I'm not sure if it was that day or another day that I went through the gate at the metro, with my one little ticket, pushing the girls in front of me since they were free, and they got stuck on the other side of the gate. There I was on the outside; the 3 and 4-year-olds were on the other side. The gate was closed. I panicked. "Wait right there," I said. I imagined that I needed to run back to the window to buy another ticket to get through. Luckily, a woman behind me, who was wheeling a suitcase, took pity on me and let me go through on her ticket so I didn't have to desert too little girls in the Metro station. When we met Jose at the Luxembourg Gardens, we had ham sandwiches with butter for lunch. I can still taste them. We fed the extra bread to the fish in the pond. Then Jose went off to his meeting and he told me to take the girls by bus to his grandmother's apartment. Well, apparently, we got on the bus going in the wrong direction. The entire hot afternoon was spent climbing on and off buses going farther and farther away from Jose's grandmother's apartment. At one point, we got off the bus and I herded the girls to a cafe for a Coke. We all needed to raise our blood sugar a bit. The cafe was chic and the people around us were very polite. They admired the girls and they asked about our trip. But when I asked them about taking the bus, they all shrugged. None of them were bus users. I admonished Claire to be careful not to spill her drink then I promptly spilled my Coke and it flowed off the edge of the glass table. Could the day get any worse? Somehow, some way, we eventually got to Jose's grandmother's apartment, which is where I met Marguerite, who is still my friend today. So, although I may tell Grace that my travels in France were the best times of my life, the individual days were a challenge. Maybe I didn't appreciate them until I came back, and maybe she won't either. Until then, I'm encouraging her to find one good thing everyday to appreciate. I'll do the same here in Ohio. My husband is so lucky that I woke up with a swollen face this morning. Otherwise, I was going to write about the fact that he came home from France with one chocolate bar. One. That's right. No other chocolate. Three bottles of wine, some croissants and ONE chocolate bar. Instead of giving him a hard time, I am a little woozy from Benadryl and drinking an espresso to counteract the sleepy qualities. It all started on Sunday when I bought a new moisturizer. I went to the Aveda store, which I love. Almost all of my "beauty" products are Aveda. And I've been using my travel store of moisturizer since we had the driveway redone in August. I went to buy my usual tourmaline moisturizer and inquired about eye cream. They didn't have any except the kind I had an allergic reaction to. However, the saleslady continued, I could try the "Embrightenment" moisturizer which would have a similar effect around my eyes. It was 20 dollars more, but if it could work as moisturizer and eye cream, I was really coming out ahead, right? So I brought it home and used it Monday, Tuesday, Wednesday. Yesterday afternoon, I could feel a slight sandpaper type rash on my neck. As the evening progressed, my skin was itchy and I could feel the rash along my jawline. This morning in bed with my husband, who came home from a week in France and brought only one pre-wrapped chocolate bar, I could feel that sand papery feel over all of my face. And my face felt really tight. That's when I got up and looked in the mirror. My whole face was swollen and my eyes had a definite Asian slant to them. Oh! So that's how the moisturizer works. It gets rid of wrinkles by making your face puff out. I have no wrinkles, but the space between my eyelids is definitely smaller since my eyes are swollen too. So, I took a Benadryl and I'm drinking the coffee since I have to teach starting at 8. Then I'll have to head back to the Aveda store to see if they'll replace the rash-causing moisturizer with my old standby. What I can't understand is that Aveda said it is replacing products to make them more natural. Apparently, my face cannot handle more natural. Bring me some synthetic products! Okay, it's settled. I have to go to France again to find out the secret of youth. Somehow, they apparently know how to look young at a very advanced age. Is there some fountain of youth? Some beauty cream? Some food that they eat? I am determined to figure it out. How do I know this antiaging secret exists? Should I tell you how old she is or should I let you guess? I'll let you guess for now. Age Revealed: Thanks to everyone who guessed. Marguerite is 85. Tonight, my husband is alone in Paris, and I'm a little worried. Oh, I'm not worried that he might find a sweet French woman to entertain him; I'm worried about him finding his way alone in Paris without someone who speaks French, even as poorly as Grace and I do. 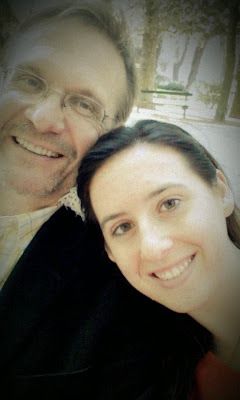 I think every time he has ever been to France, from the first time with me in 1991 through his current trip with Grace, he has always been accompanied by someone who speaks a little French. Don't get me wrong, he can make hand motions and say "allons-y" with the best of them. He can order tea or wine, and he can read the Metro signs. Still, I worry that, having left Grace at her host home and having consumed much wine, he'll wonder over for one last look at the Eiffel Tower. And, without me there to protect him, he'll be in danger of falling for the sad faces of the gypsies holding tightly wrapped babies. Or maybe he'll decide to buy some tiny Eiffel Tower replicas from the African hawkers. How many places will he wander before he returns to the hotel I found for him in the 1st arrondisement? 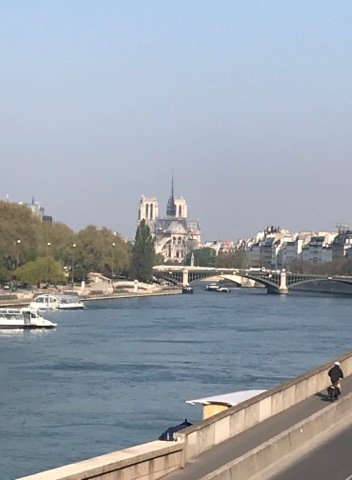 Perhaps I wouldn't think anything about it, if long ago, on my way home from three months in France, I hadn't run into an American guy who cut short his trip to Paris. I met the guy in the airport in New York. I sat, wearing a pink cotton skirt with a very high waistband, pink fishnet ankle socks and white kitten heels, and read a book, until a guy's tales of woe reached my ears. He had been in Paris for the first time. He'd been in the Champs de Mars near the Eiffel Tower when he was robbed of all his money and his passport. As soon as he could, he hightailed it home. He hated Paris. I was dumbstruck. How could that be? I had traipsed about the city alone, flirting with Argentenian sailors and ignoring the propositions of men along the street, even ducking into a church during mass one day to avoid a very persistent man. I've always felt safe in France, and maybe the fact that I never considered being in danger has always kept me safe. But tonight, while Earl is alone. Well, I'll have to trust that he can take care of himself, for just this one night. And tomorrow, I'll see him at the airport and he'll be home. Earl and Grace self portrait in Paris -- 26 hours after leaving home. 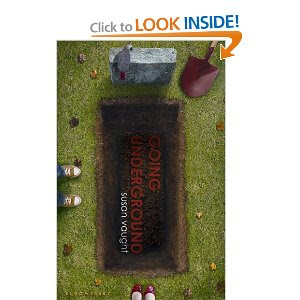 I just started this book, Going Underground by Susan Vaught. This writer is on one of my Yahoo writers' groups and she sent a message yesterday about discussion of turning her book into a movie, which is very cool. The story is about a 17-year-old boy who digs graves because he can't get another job or go to college after he got in trouble as a 14-year-old. What'd he do? His girlfriend sexted him a picture of herself. Dead zones are places without life, without feeling, without air. I've seen them in pictures of polluted oceans and read about them in descriptions of the cold void of space. Sometimes I think parts of my body have turned silent and dark like those pictures and descriptions. Sometimes I think I've become a dead zone. I mop sweat off my forehead with a dirty handkerchief, reposition the earbuds, and adjust the iPod in my pocket, then pick up my shovel. It's hot, and it's late afternoon, and this is a graveyard. It's a quiet place down a long country road and sort of in the middle of nowhere, like graveyards people write about in horror stories -- only this cemetery isn't creepy, at least, not to me. The graveyard is not huge, but it's big enough and full of headstones and plots. My job is to dig the graves, then close them up again, and it's time to move dirt from one spot to another to bury a body that really, truly has become a dead zone. I'm glad for the pine box that hides the sewn eyes and the blank face. Some things just don't need to see the light of day again. State of Wonder by Ann Patchett definitely lived up to its hype. What? You haven't heard the hype? Well, Ann Patchett weaves a wonderful spell with her words beginning in Minnestoa where Marina works in a pharmaceutical lab and finds out her lab partner who traveled to South America is dead. Amid complications of an affair with her boss and a mentoring relationship with the scientist who is working in the Amazon, Marina travels to South America to get answers about her dead friend and the miracle drug that can allow women to bear children into their 70s. Patchett's picture of the Amazon as both wondrous and miserable had me feeling the heat and itching from the bug bites. Her characters are marvelously alive. Some of them unlikeable and others, like Easter, the deaf boy from a neighboring tribe, are so loveable that I wanted to sneak him home with me. My favorite line in the book was about Easter. As Marina is falling in love with the little boy, she thinks, "So he had been a cannibal once, if only in another lifetime. In light of all that had happened it was hardly worth mentioning." The book was not one to undertake in one long gulp. I spread it throughout the week and felt gratitude in the end, although some questions remained unanswered. Here it is, the beginning of another quarter at college. I teach an online class, and everybody who forgot to register sends me an email asking if they can get in my online class. If there are openings, I let them join -- first come, first served. Good afternoot my name is jennifer mxxxx, iam interesten in taking your web class and iam asked for a signature from you please let me know what i need to do next. I emailed Jennifer back to tell her that I already had a class full of students, and suggested that some of the other teachers had openings. She should ask them. Then I added a P.S. to her email. "You may want to correct your spelling and punctuation before you ask another teacher." Today I heard back from her, "thanks"
I hope she gets in a class. One day this week, after a long day of school and work, Tucker sat down on the edge of the couch with his guitar. I was ready for a nap, so I slid onto the couch behind him to claim it. He lay down on the floor and held his guitar above him. That's when I snapped this picture: Reflections on a guitar. Yay! 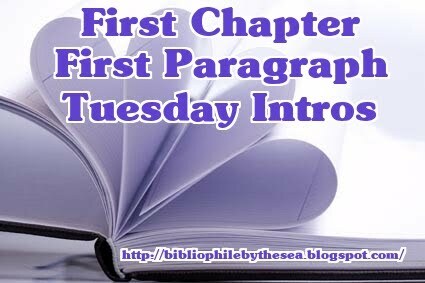 Grace is blogging again. This time, about her trip to France. Take a look to see France through the eyes of a brave, yet frightened, 19-year-old American. As I write this, Earl and Grace are winging their way across the Atlantic Ocean. The preparations were exhausting. I spent the past few weeks helping Grace find every possible item she might need while she stays in France. Her wardrobe is filled with black basics. She has some kickin black boots and some adorable, comfortable black wedges. She has a phone that works overseas, after I spent more hours on the phone with Verizon than I've spent alone with my husband in months. We had a last favorite meal before Grace left -- brown rice pasta with goat cheese. Grace got a haircut and gave horsie rides to her little cousin Caroline who will grow up a ton in three months. Just like Grace will. I got some gift ideas from my blogging friends Linda and Corey, and spent yesterday searching for Polo shirts to give the French kids and coffee table books that feature the beauty of Ohio? Well, at least the United States. I wrapped gifts in tissue paper last night while Grace, Bethany and Anna finished packing her bags. This morning, I had to leave for work before Earl and Grace went to the airport. The hug Grace gave me bruised my ribs, and she left tear stains on my shoulder. Going away for three months is a tough step for Grace. While I was teaching this morning, I received a call from Earl. "Someone needs you," he said. I spoke with a crying Grace until the plane was ready to take off. We spoke again when they got to New York. The next time I hear from them, they will be standing on French soil and sending me a text. This week I have picked up The Ninth Wife by Amy Stolls. I'm not sure where I heard about this book, but I've been waiting awhile to read it. The blurb on the back says that 35-year-old Bess meets a charming Irishman and learns that he has been married 8 times before. 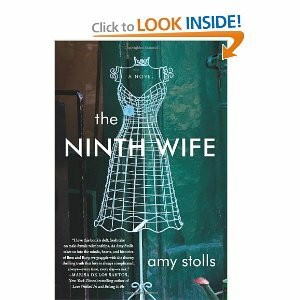 She decides to travel across the country and meet this Irishman's previous wives before she is willing to become wife number nine. "Pick a partner," says Bess's karate teacher, "and get a tombstone." As Bess learned nine months ago when she began her schooling in Tae Kwon Do, a tombstone is a black rectangular punching bag that you hold against your torso as a target for someone to kick you repeatedly in the stomach. Or, ideally, your solar plexus, your myung chi, the soft spot at the top of the rib cage that if kicked directly with a powerful eap chagi, say, by a one-hundred-ninety-pound software engineer from Bethesda, can knock the breath out of you and send you flying across the room into a pile of smelly sparring gear. Tombstones, Bess has come to realize, are a good thing. Tombstones can save lives. The first paragraph without the blurb probably wouldn't grab me, but I'll keep reading to see if it pans out. What about you? Would you keep reading? Sometimes my boys come up with crazy ideas that just make me shake my head and laugh. This week, it was Spencer who admitted that he had started a home-based business. Well, not so much home-based as locker-based business. Spencer and three friends noticed the effect that Michelle Obama had on the snacks in the school. As seniors, they were used to pop machines and unhealthy snacks in the cafeteria. When our schools phased those out this year responding to calls for healthier food, Spencer and his friends decided to fill the niche for junk food. They went to the store and bought $40 worth of candy, chips, Honey Buns, Pop Tarts and pop. They sell it from their locker. This week, they made $60 so they got a 50 percent return on their investment. "Wait a minute!" I said. "Is this against the rules?" I mean, he wasn't selling anything illegal or even convincing students to take supplements that would make them stronger or smarter. One of the teachers said she didn't think it was a big deal, so Spencer considers that carte blanche. I drove five sophomores, Tucker and friends, to an away football game last night, and they were talking about Spencer's business. "Oh, yeah. I bought a Reese cup from him for 25 cents," Josh said. "That's a rip off," Tucker said, determined to find fault with his brother. I pointed out that a two-pack of Reese cups costs around $1 at the grocery store. "Dude, he's gotta have a profit margin," Josh said. Keenan added that the pops are $1. "They used to be 65 cents in the pop machines," Tucker said. Well, the pop machines are gone. Maybe I should just be proud that Spencer is showing some entrepreneurial spirit and not worry about the repercussions. Like him, I do believe that the kids, who are allowed to leave school for lunch, will probably eat all the junk food they want whether the school supplies it or not. Maybe I should see it as a sign that he's ready to leave school and start his real life, which is what he'll be doing at the end of this year. Maybe, I should realize that he has great ideas, like me, but apparently he is willing to follow through on them. I just hope he can stay out of trouble for the rest of his senior year. On a run this week, I saw a friend out looking for his escaped cat. I told him I would look as I ran. That's when I saw this black cat sitting and staring into a tree. I thought maybe he had the other cat cornered so I turned around to see what he was staring at. Someone had conveniently placed a birdhouse in the crook of a tree and the cat was ready the minute the birds thought about emerging. I laughed when I realized what the cat was doing. I tried to lure him away. He gave me a look of disgust. Then went back to his birdwatching. My 15-year-old son got his temporary driving permit on a Friday, and, unfortunately, my 17-year-old son totaled his car three days later on a Monday. Thus, the number of driving hours for the 15-year-old are limited. We only have one car right now, and who wants to risk that one car with a brand new driver. He's a good driver for someone with no experience, still, it feels pretty iffy. Yesterday after school, after he informed me that he didn't like the stir fry I planned to make for dinner, he begged me to take him to buy a sub sandwich. Plus, he would drive. Sometimes I'm vulnerable to these arguments. My boys never seem to find enough food in our house to fill their ravenous bellies and send sustenance to their quickly growing limbs. I agreed to go with him and pay. I sat passively in the passenger seat while he drove the few miles to the sub shop. I gave him a 10-dollar bill and sat listening to NPR while he went in to get his sandwich. On the drive back, he was turning left and he over turned, a little too far and came close to a car that was waiting to turn left. I sucked in air through my teeth and made that sound a person makes right before something bad is going to happen. I'm pretty sure it was barely audible from his seat. "You oversteered back there. You need to straighten out the wheel sooner," I said. "I know, Mom, but when you make that noise it makes me panic and then I'm going to crash," he said. I hadn't raised my voice, but the sucking in of air would drive him to crash? His words. His tone. The thought that I drove with him to the sub shop and paid for his sub while he complained about me breathing. They all pissed me off. "Fine. I guess you should just drive with Dad instead of me," I declared. "I guess I will," he replied. And we didn't speak the rest of the night except after swim practice when he asked why I was so mad. I told him I was tired of his rudeness, but then I kissed him goodnight and he said, "If you aren't so mad at me in the morning, will you wake me up early?" I took the boys to get coffee before school this morning. But I need to be honest, things are not going to settle down. Lately, things have been more hectic than usual. I've been mired in numbers trying to get Grace's trip to France organized. Maybe she'd fly over with Sheila when she went for fashion week. Maybe Earl and Spencer would go over with her for a week? Would she go alone? Would they fly into Milan and visit the Italian cousins before going to Paris? Maybe Frankfurt would be better. Maybe they'd fly into Milan and fly out of Paris. But Earl would be leaving much earlier than Grace so how would I make sure they sat together on the flight out? I spent days on travel websites. I'd go from Kayak to Priceline to Expedia then to the airline's website: British Air, Air France, American Airlines. I had every possibility written in a little notebook. Then we had to add in train fares and hotels. My mind spun with all the possibilities. In the midst of it, I started another semester of school at one college and was busy moving toward exams in the other. That's when Labor Day arrived. A time to rest and catch up. Only, as I was fixing brunch for Earl's family on Monday morning, I received a text that my friend from work, Rini, had a stroke. I made plans to go visit her the minute the relatives departed at 12:45. At about noon, I was walking around the block with baby Caroline when I saw what looked like Spencer standing at the intersection at the top of the hill. That tall boy with the cut out tshirt was definitely my son and he was standing beside his car talking on the phone. Then I saw the police car and the flashing lights. Oh, no. Had he gotten a ticket? I left Caroline with Grace and raced ahead. The front end of his car lay on the street and green radiator fluid leaked onto the street in front of it. He had an accident while crossing the side street to our house. The small truck he hit looked fine. A little scraped on the side. Spencer told me later that the truck basically drove over his front end. But the accident was his fault. Now we started dealing with car insurance and juvenile court to face the ticket for failure to yield. In spite of the accident, I headed to the hospital at 12:45 and saw Rini. I feel so helpless when people are sick. There's rarely anything I can do to help. So I jumped right in and told Rini that I would grade her remaining essays and give the final exams for her classes. Well, I'm getting tired just telling this story. Picture me chained to a computer grading papers, searching for airfares while looking for used cars to replace the totaled car, when suddenly I remember that I have to figure out the cell phone dilemma for Grace too, so I start researching that. On Tuesday morning when the English department called in a panic that no one had finished Rini's grades, I jumped on the computer again rather than going out for coffee with Grace and finished Rini's grades. Grades are done for one college job. Tickets are purchased for the trip to France. The phone is ordered. The insturance money for the car is in the bank, although we are still a one-car family for now. Rini remains in the hospital waiting for a spot in a rehab center. Now that I think about it, it seems a little selfish to complain about all the work I have to do because my friend had a stroke and my daughter's headed to France for a few months. I'm grateful that I can help out my friend and that I have a daughter who's about to experience the trip of her life. 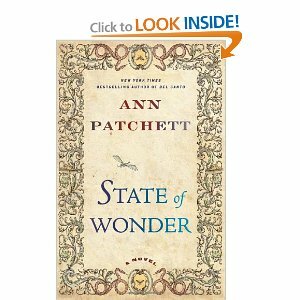 This week, I finally got my hands on State of Wonder by Ann Patchett. Dr. Marina Singh is sent to Brazil to track down a colleague and former mentor who has been working on a new, amazing drug for a pharmaceutical company. I'm struck by how similar the premise is to the book Hector and the Secrets of Love which I reviewed here. Hector was sent by a drug company to find an older, respected researcher who had gone missing too. But I get the impression these books are going in very different directions. The news of Anders Eckman's death came by way of Aerogram, a piece of bright blue airmail paper that served as both the staionery and, when folded over and sealed along the edges, the envelope. Who even knew they still made such things? This single sheet had traveled from Brazil to Minnesota to mark the passing of a man, a breath of tissue so insubstantial that only the stamp seemed to anchor it to this world. Mr. Fox had the letter in his hand when he came to the lab to tell Marina the news. When she saw him there at the door she smiled at him and in the light of that smile he faltered. So many times I am put off by the writing in the first paragraph. This one definitely has me hooked. How is it possible that I could watch someone trying to corral a baby bunny for 10 minutes and never turn on my video camera or at least take a still picture? Well, it happened this morning. I met my friend Sheila for coffee and we settled outside in the metal chairs. Across the street from the coffee shop is a church and an elementary school with a big front lawn and some towering fir trees. At one point, I saw a rabbit jumping across the grass. Here's a picture of Sheila from a coffee date that we had earlier in the year. As we continued our conversation, a tiny bunny came scuttling across the street and hopped the curb. "Oh," I said, pointing it out. The 6-inch long bunny hopped across the concrete and ran smack into the brick wall of the coffee shop. "Is it blind?" I wondered. "Sheila, you have to save it," I said. I'm not sure why I decided that Sheila, instead of me, should be the one to capture the bunny. It ran up and down along the wall evading us. Sometimes it would get wedged into a spot and I'd think we would have it for sure, but it always made a break toward me and would get past me. Apparently, I am no good at catching baby bunnies. At one point, he headed for the parking lot and hid under a car tire. I used my sunglasses to shoo him back toward the building. We decided that if we could herd him across the street, the mother would take care of him from there. I saw the mother in the lawn across the street running back and forth at a crow that kept landing there. I wondered if the crow had taken a baby or maybe the mother didn't know where her baby was and blamed the crow. She paused to chase a suspicious acting squirrel too. Meanwhile, Sheila continued to chase the bunny. I decided that my job would be to halt traffic if we ever got the bunny to run toward the road. So I stood by the street while Sheila and another coffee shop patron cornered the bunny. The poor thing had slowed down a lot. He must have been exhausted. Sheila nabbed him and held him against her chest as he squirmed and wiggled. We crossed the street and walked across the lawn toward the big fir tree where the mother sat waiting. At least, I hoped that was the mother and not a cat in hiding. Sheila released the bunny and he hopped straight to the tree, past his mother and disappeared in the dirt. The mother bunny did not even thank us. She sat there for a few seconds then followed her offspring. 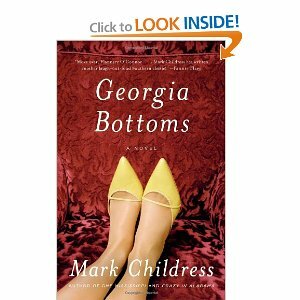 A couple weeks ago, my first paragraph Tuesday was from the novel Georgia Bottoms by Mark Childress. I had recently slogged through a rather difficult, philosophical book that was worth reading but was more work than I like to put into reading for fun. So when I picked up this book, the writing and pace made me feel like I was riding in a top down convertible on a country road. Georgia Bottoms is a southern belle who lives in Mississippi and makes a living by entertaining gentlemen callers, a different man each night of the week, except for Monday. When the book opens, the minister is making a confession, about to detail his relationship with Georgia. Georgia stands up and faints in the middle of the aisle to stop the confession. I think the idea of a respectable woman sleeping with the most powerful men in a small town is a great concept for a book, and I believe it could have carried the entire novel, but lots of extra complications were thrown in. The book also dealt with racial issues, but it does not rival The Help. Since The Help was set in the 60s, it felt more acceptable for the characters who were racist to say ridiculously racist things. Since this book is set in current times, it just feels creepy that Georgia's mother is incredibly racist. Georgia has given up trying to correct her. When I used this intro paragraph, several people commented that they were amazed a man could capture a female voice and wondered if he could continue it througout the book. I will have to say that the writing in the book was good throughout and I enjoyed it. Parts of the book were disjointed, almost like it was a series of short stories that didn't quite fit together. Every year Georgia throws an elaborate ladies' luncheon. One year she plans her luncheon and that is the day that 9/11 happens. My assumption is that the author was writing this book during 9/11 and he felt obligated to include a reaction to this horrific event. The problem is that it doesn't really fit. Next the book jumps ahead a year. This was a fun read, but not as satisfying as it could have been. The end was fairly open and didn't tie up loose ends. Everyone's life changes in 10 years. That's just life. Little boys who run through fields pretending hockey sticks are guns, turn into big boys who total their cars and worry about ACT test scores. So everyone's life is different now than it was 10 years ago. Kids grow up. Wrinkles appear on our once smooth faces. Our concerns about getting them to sleep in their own beds change to worries that they may be sleeping in someone else's beds. But the attack on Sept. 11, 2001 gives us all a marker from which to measure our lives. As a culture, we'll always look back at that moment to consider what life was then and what it is now. Our family homeschooled in 2001, so we waited for September to take a vacation to Mackinac Island, Michigan. The island doesn't allow cars. We take a ferry to it and transport our bicycles. Our kids were 9, 7 and 5 that year. We were preparing to ride our bikes around the island on an 8-mile path. We went into the bike shop at the hotel for something and they had the television on. A plane had flown into the World Trade Center. Reports were early and it looked like a small plane. What a terrible accident, we thought as we continued to the smooth path that stretches around the island. By the time we completed that road and stopped in town for food and drink, life in the United States was transformed. Some people half-heartedly looked through the shops in town, but most people retreated, like we did, to their hotel rooms. We had a family room with one sleeping room for kids and another for Earl and me. We tried to keep the kids on their side so they wouldn't see the scary images of the buildings collapsing, the smoke pouring skyward, the terrified faces of the people watching the destruction. We searched out cartoons for the kids to watch while we were unable to turn away from the carnage, the image of that one plane striking the World Trade Center over and over. Even without cell phones, families managed to contact each other. Mom and Dad were in North Carolina. Craig and family in Texas. Kevin and family in Ohio. Everyone was safe. We came home from our vacation a few days early. Enjoying ourselves seemed impossible. These are the images I'll always remember from Sept. 11, 2001. The day life changed. How about you? Where were you when you heard about the attacks? While riding my bike along the Scioto River to the Columbus Audubon Center recently, I stopped to take this picture of the skyline with this cool new arching bridge in the foreground. If I hadn't stopped for the photo, I would not have noticed the fearless hunter in the lower right corner of this picture. A great blue heron. I didn't disturb him. He didn't move the entire time I was there. He stood and watched the falling water, ready for any stunned prey that toppled over the dam. He must not have gotten the report about the Audubon Center downriver, or I'm sure he would have stopped there. This weekend as I got to the point farthest from my house on my run, I felt a sharp pain in my right knee. I tried to run through it but the pain continued. So I started walking. As I walked home, I thought of the Caribou Coffee shop just up the street. I could stop and get a coffee since I had to walk anyway. But I didn't have any money with me. All I had was my iPhone, which serves as an iPod while I run, tucked safely into my water bottle belt. Then I wondered about Apps. Did Caribou Coffee have an app that I could download, load up with money from my bank account and use to buy coffee? I searched apps but couldn't find one. Then I found the Starbucks app. During that rather long walk home with the painful knee, I concentrated on adding the app to my phone. I downloaded it and saw that I needed to enter my username and password, which I already had since I'd registered my Starbucks card before. Next, I added some money to the card, and, Voila! I could use my phone to buy coffee at Starbucks. Unfortunately, the Starbucks was not on my walk home, so I would have to wait before trying it. When I left later that morning to drive to Trader Joe's, I drove through Starbucks and handed over my own cup to fill with coffe and my iPhone as payment. I'm not sure why it is so exciting to hand over my phone to pay for my coffee. I guess it's just one less thing I have to remember when I leave the house in the morning. I'm a supporter of President Obama. And, like a lot of people who helped elect him, I'd like him to be a little stronger in the face of people who oppose his plans of hope and change. Tonight he went before the country to talk about jobs. But.. before he went, he sent me an email called "Before I head to the Capitol." The email included a link that I could click on to that said If you're with me let me know. He said it was up to me to put pressure on Congress. I felt kind of bad for him. I mean, he is the president. He obviously carries a lot more weight than I do and if he can't do it, I'm not sure I'll be much help. I agree that the government needs to help create more jobs, and I'm leaning away from supply-side economics. Businesses have had tax breaks and government bailouts, but they aren't creating jobs. Instead, it's time for some demand-side economics. That means get money in people's pockets and they'll start spending it, thus creating more demand. I support President Obama's plan for building up the infrastructure while interest rates are low and construction workers need jobs. I think the payroll tax cut should continue for workers, but go ahead and let the businesses start paying it again. They aren't hiring anyone new. They're just sitting on that money and watching the stock market. I want to cheer for President Obama's plan. So I clicked on the link and it took me to a website to show my support and then to a screen that offered me the chance to donate to President Obama's re-election campaign. Good thing that my husband and I already have jobs. Enough pleading, Mr. President, stand up and take the lead. Don't wait for me to call my representative. He's not listening to me. Grace doesn't like this picture of her, but she loves the new dress. We went shopping the other day in preparation for her autumn in Paris. We found this adorable dress that makes her feel like Audrey Hepburn. Her Paris wardrobe also includes a couple of new pairs of jeans, a black knit dress with gray leggings, a black and white striped knit dress and two flouncy black skirts, which can all go with her variety of leggings. Oh, and I can't forget the "red" sweatshirt. (I think it's really orange but she's going with red.) It's an off the shoulders kind of look, think 1980s. Then she was thrilled to see Amy from Dr. Who wearing a similar sweatshirt, except Amy's is not off the shoulder. I don't care for shopping, but Grace and I had a fun trip picking out her Paris wardrobe. What would you have to buy if you were going to Paris for the fall? 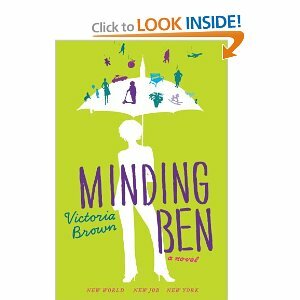 I'm not sure how I heard about this book, Minding Ben by Victoria Brown. Maybe it was the bright green cover that caught my eye. The blurb on the cover says 16-year-old Grace goes from Trinidad to Brooklyn. She ends up working for an upper middle class family that baffles her and slowly reveal their secrets. The whole thing, from start to finish, from first talk to walk off the plane, took about ten weeks total. That was it. Ten weeks and I went from a small village on a small island to the middle of New York City. Well, to Brooklyn, but still, can you imagine? 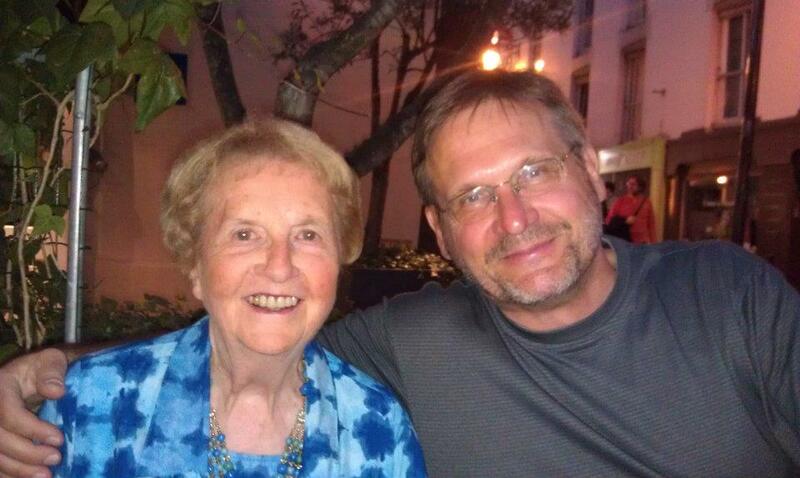 On the morning I left, my mother came into the room I shared with my sister, Helen, and placed her hand on my shoulder. I didn't move, I just lay there feeling her cold fingers through the thin fabric of my nightie, thinking how this would be the last time my mother would come into my room and wake me with her touch. I like the conversational tone of the writing in these first few graphs. I don't think anyone would pick up this little book thinking that it might actually tell them the secrets of love, but it does have some interesting insights about the subject, along with a decent plot. Hector is a psychiatrist who lives with Clara. She works for a drug company, and her boss, Gunther, asks Hector to find a researcher who went missing with the drug he had been working on -- a drug that makes people fall in love with each other. 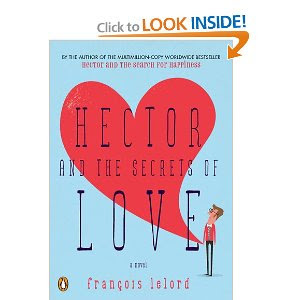 While searching for the missing doctor, Hector begins to keep his own notes about love, trying to figure out if there are rules, or as he eventually calls them, components. When Hector ends up in a small Asian country, he finds the doctor has left him a note and love potion pills for Hector and the Asian waitress. The doctor assures Hector in the note that he will give him an antidote. And that's how Hector falls in love with a woman who doesn't speak a single word in his language. Gunther and the drug company are not the only ones searching for the love potion though. The Chinese would like the potion to convince young people to make sensible marriages and stop wasting time on hedonistic pleasures. Two Japanese spies are searching for the potion so they can increse the number of marriages in Japan. Gunther and the drug company, of course, want the potion so they can make millions by insuring that people fall in love and stay in love. My favorite part of the book is when the doctor gives the love potion to two pandas in the zoo who have refused to mate. The potion gets them to mate. Unfortunately, later, one of the pandas eats the other because it is so consumed by wanting to be one with the other panda. This book got me to thinking about love. It isn't something I think about because I have a husband who loves me. That means, I am probably taking him for granted and not being careful to show him my gratitude for the way he brings out the best of me. This book is described as philosophy, in the tradition of The Alchemist or The Little Prince. It's a book to take in small bites, but one that definitely will get you thinking about your own love life, or lack of it. When my kids were little, sometimes I would watch the famous pediatrician T. Berry Brazelton. His show always started out explaining a problem that a child was having. He would interact with the kid and the parents. Then he would turn to the camera and say, "I felt sure (child's name) would be fine, but it was the parents I was worried about." Most of the time, the kid was going to outgrow his medical or emotional issue. The parents worried about it and exacerbated it. I always wished I had Dr. Brazelton to reassure me that my kids would be fine. Last night, between college football games and grading papers on the computer, I was flipping through the channels and came upon the show Supernanny. Supernanny is British and she goes to the houses of Americans with out-of-control children. She teaches the parents how to make their kids sleep in their own beds and advises parents how to correctly use time out. "Why don't you ask Supernanny to come help you deal with the boys?" Grace suggested. "What do you think Supernanny would say to you?" I asked. Then in a mock British accent I said, "Why aren't you going back to college to finish your education, young lady? Why do you think you should spend a semester gallivanting around France and Italy when your parents are willing to pay for your schooling? You get yourself back to college and finish." Grace did not seem amused. It was easy for me to predict what Supernanny would say to Grace. I didn't want to think about what she would say to me. "When did you give up on this family?" she might say. "When did you decide that you weren't responsible for your children's bad decisions?" It's a dilemma I've been dealing with. My boys are 17 and 15. I raised them to make good choices, but they seem to frequently use their teenager brains to make bad choices. Is it my fault? I have accepted the idea that parents can't control their teenager's every move. But I'm not sure that's what Supernanny would say. I think she'd tell me to do the hard work. To make Spencer be in by 10 p.m. even though he'll be 18 in October. To follow through with making Tucker clean up the basement rather than letting him leave dirty dishes and fast food wrappers around. I could make a list of the good things my boys do. They work hard at school and are both taking honor classes. Spencer works at a restaurant and works out every day to fulfill his current obsession with basketball. Tucker volunteers in a mentoring program for younger students and swims. He plays his electric guitar for hours a day. But they don't stay home all the time. They aren't limited to school, work, sports and home. They have those hang out hours with their friends, and in our small town, they are free to wander around. That's when they find trouble. How much trouble can this boy get into if he takes the time to stop and smell the zinnias? I could ground them for the rest of the year, forcing them to stay home when they aren't in school or at sports practice. I encourage them to have friends come here, but it seems silly to control their every move when next year, Spencer will go away to college. He needs to have some freedom now and learn to make good choices before he is given carte blanche. I know that you aren't Supernanny, but what do you think? Do I give them enough freedom to make mistakes now or do I curtail their hanging out time, torturing both them and me? Compromise solutions are also welcome. The Columbus Zoo & Aquarium got polar bears this year. When my friend Ruth and her 7-year-old came to visit, Grace and I went along to the zoo. This polar bear looks like an overgrown dog with his stick. And when the polar bear climbed onto a ledge in his habitat, he took the stick with him. You can see it lying in front of him on the rock. If you ever get a chance to visit the Columbus Zoo & Aquarium, it's a great one.